Burrowing Owls and Maras were among the ‘stars’ appearing in David Attenborough’s Life of Mammals on BBC TV. 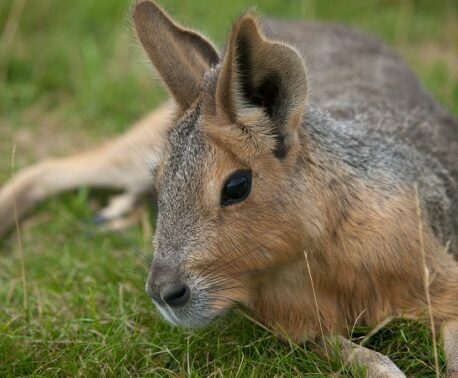 The Mara, or Patagonian Hare, is a sort of long-legged giant guinea pig that fills the niche of a small antelope in the Patagonian Steppe. 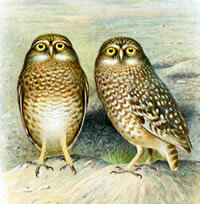 They often share burrows with the Burrowing Owls – which are similar to the Little Owl of Europe. These are both species found on the Estancia La Esperanza ranch in Patagonia. 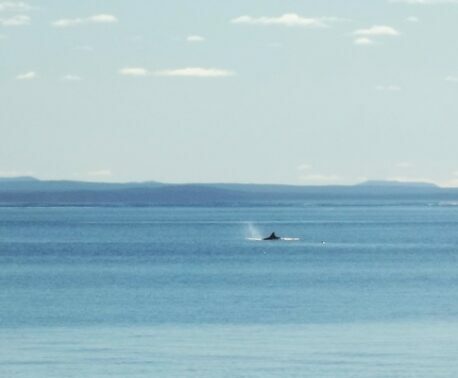 Along with Pumas, Guanaco, Geoffroy’s Cat and many other threatened species; the ranch is also visited from time to time by the Killer Whales that appeared in Sir David Attenborough’s Trials of Life, chasing Sea Lion pups up the beach. Mara © Fundación Patagonia Natural. The purchase of the reserve is nearly complete – less than £100,000 remains to be paid off, but there are ongoing costs as well. A donation of £25 really will ‘buy’ and protect an acre. There are over 15,000 acres now safe, with 12 kms of coastline, and several donors have already been to see it first hand. Last year David Bellamy visited the reserve, and a video of his visit was made on behalf of the WLT – clips can be found on the WLT Patagonia project web page.